Winning Poker Network Sets the Beast Free - Literally! 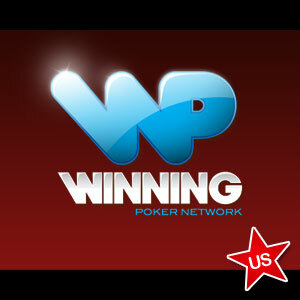 Home » Post Archive » Winning Poker Network Sets the Beast Free – Literally! Winning Poker Network Sets the Beast Free – Literally! WPN´s “The Beast” progressive rake race is the feature promotion on sites such as Americas Cardroom and Black Chip Poker, and it pays out thousands of pounds each week in cash prizes and tournament entry tickets to players who put in the most volume on the network´s “Jackpot” tables. Since its inception in July 2012, “The Beast” has been funded by premiums deducted from the pots of cash game tables but, from 5th April, the premium is going to be removed, “The Beast” extended across all cash game tables and the promotion funded by WPN from the rake it collects. From April, when rake is deducted from a pot in cash games at Americas Cardroom and Black Chip Poker, $0.02 in every $0.06 raked will put towards the Beast prize pool – even when just two players are dealt into a hand (the current promotion requires four players to be dealt into a hand) or if the table is a micro-stakes table (the existing Jackpot tables have a minimum stake limit of $0.10/$0.25). Players will receive one Beast Point towards their leaderboard position for every $0.02 they personally contribute towards the Beast proportion of the rake; although caps exist on how much rake will be channeled to the Beast when two players ($0.04) or three players ($0.08) are dealt into a hand. The maximum amount that will be paid into the Beast prize pool in any hand will be capped at $0.24. Beast Points will in future be awarded based on a player´s weighted contribution to the Beast prize pool. 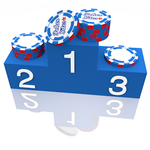 So, at a $0.10/$0.25 full ring table, player A raises to $0.75, Players B, C and D call to make a pot of $3.00. After the flop, Player A bets another $1.00, Player B folds, but Players C and D call to make a pot of $6.00. Player A bets another $1.00 after the Turn, and Players C and D fold. Player A collects the pot of $5.70 – from which $0.30 has been deducted in rake – and from the rake $0.10 is fed into the Beast prize pool. Players A, C and D each received 0.29 Beast Points for their contribution to the Beast prize pool (Player A´s post-turn bet was not called, so was not raked) and Player B receives 0.13 Beast Points for his (or her) lesser contribution. The news that the Beast was going to free to play was greeted with a great deal of enthusiasm across the poker community. On the popular 2+2 forum, comments such as “Christmas has come early”, “Good job WPN!” and “the best news for US Players in a long time” (obviously not former-FTP players!) were liberally scattered across the thread announcing that the Beast was to be set free. The general consensus of opinion was that this move by the Winning Poker Network will drive more players to sites such as Americas Cardroom and Black Chip Poker, improve the liquidity across the tables and result in further growth for the Winning Poker Network. How the changes to The Beast will affect the value of the prize pool and the number of players who get paid is not yet known, but expect to see a lot more action at the WPN tables from the beginning of April.